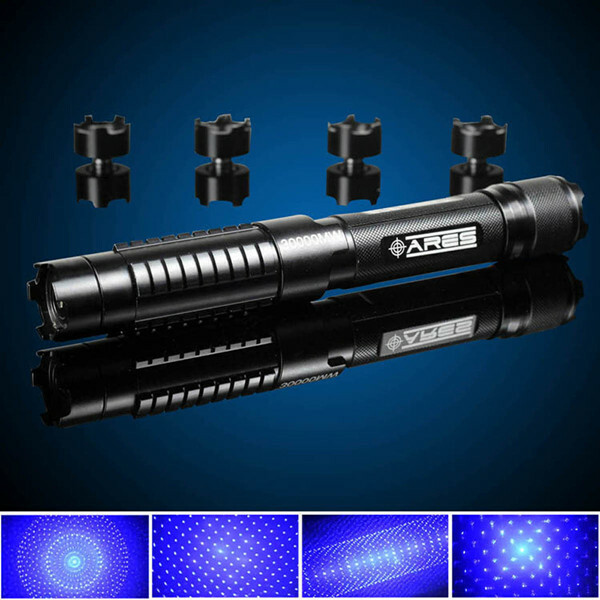 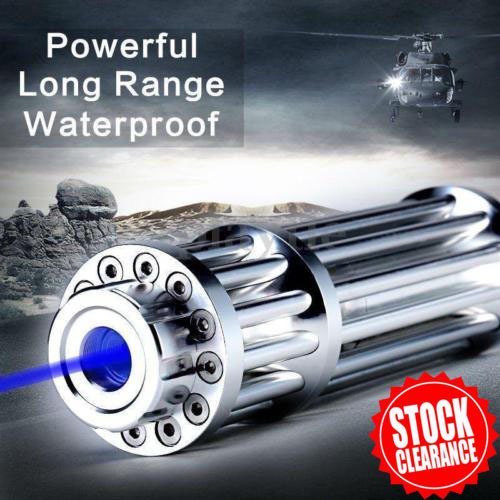 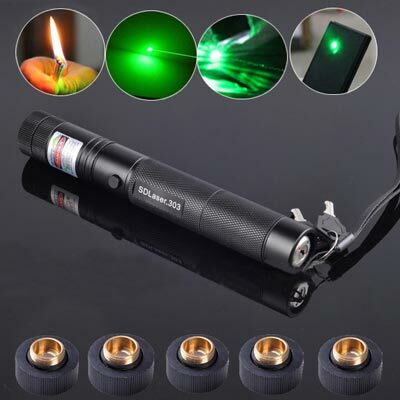 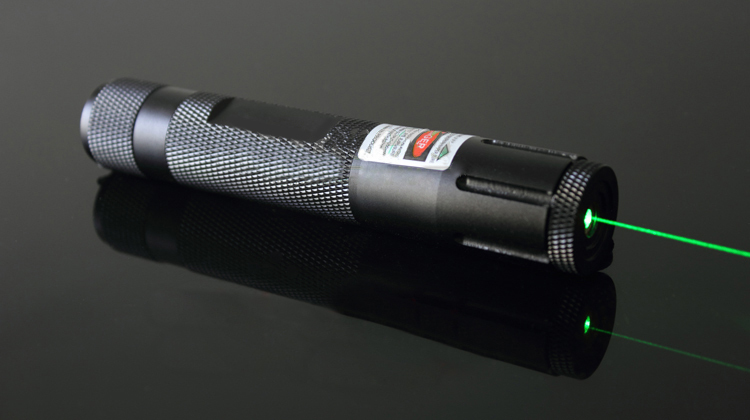 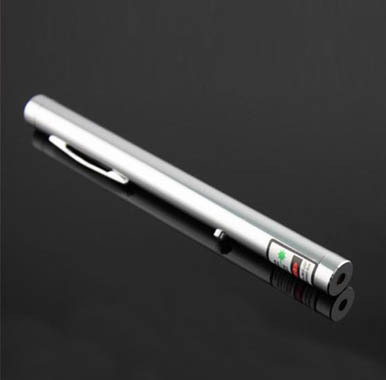 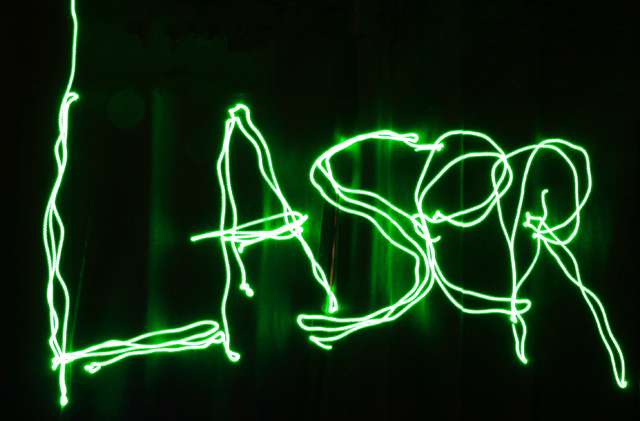 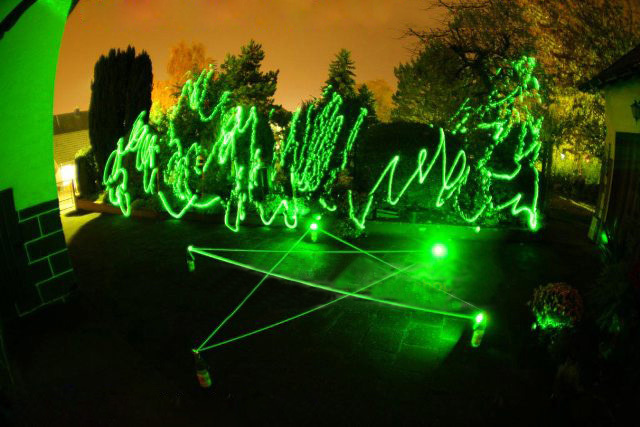 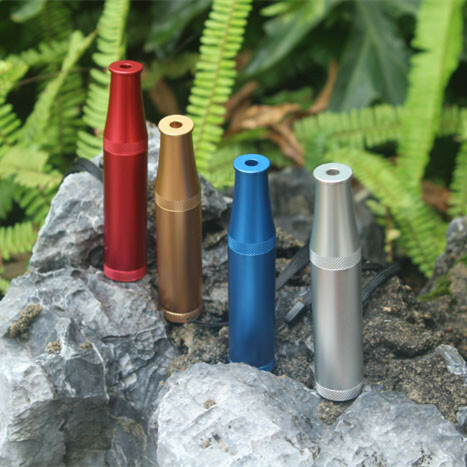 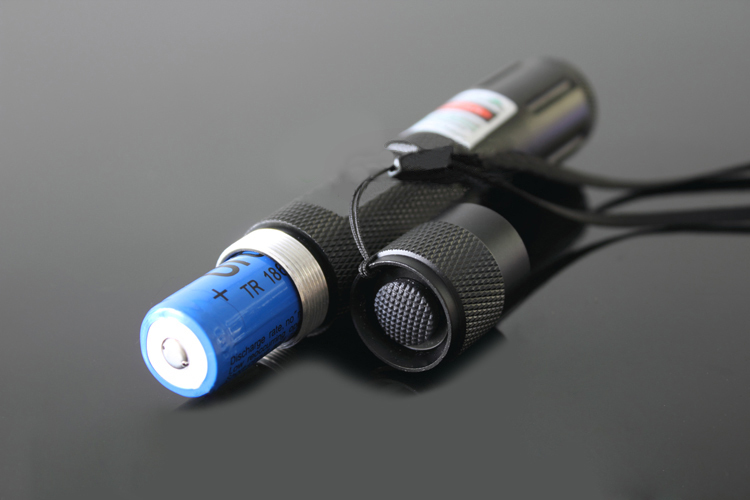 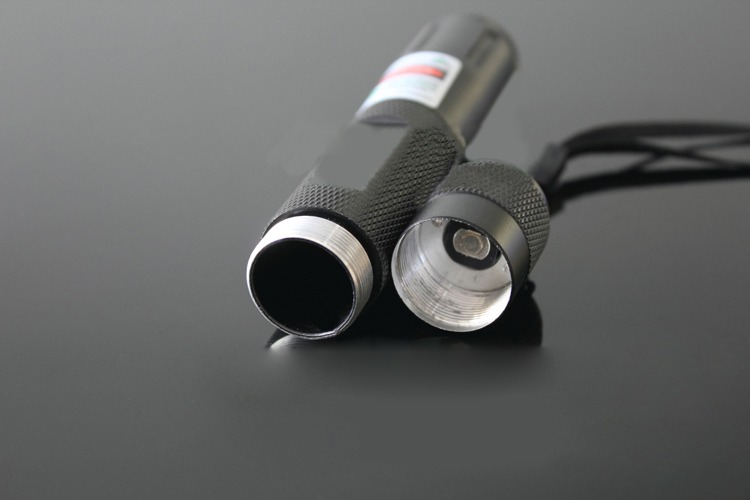 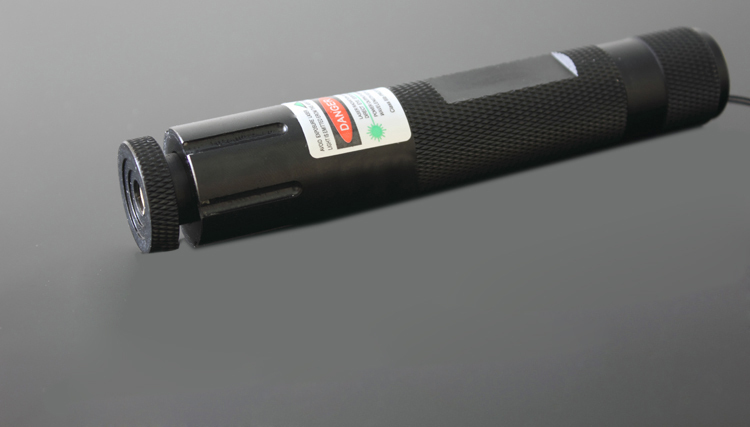 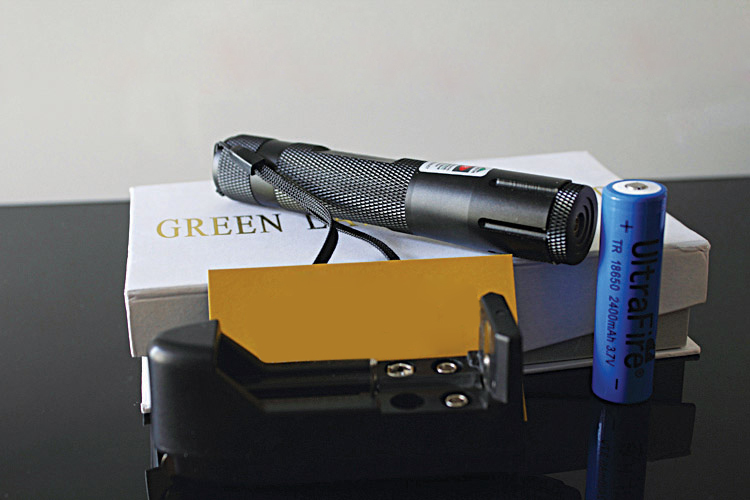 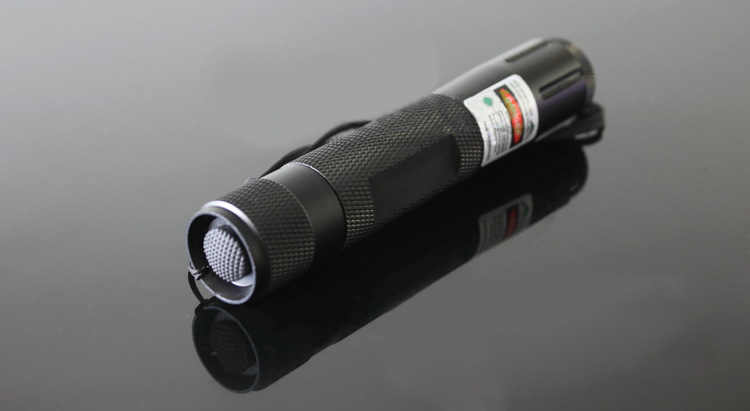 A compact flashlight 200mw green laser is designed to launch single-point laser beam light. 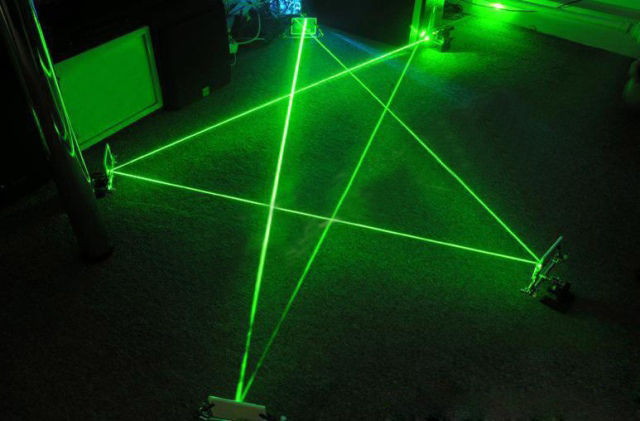 The laser beam itself is not visible from the side, but is visible by the scattered light of the dust particles along the beam path. 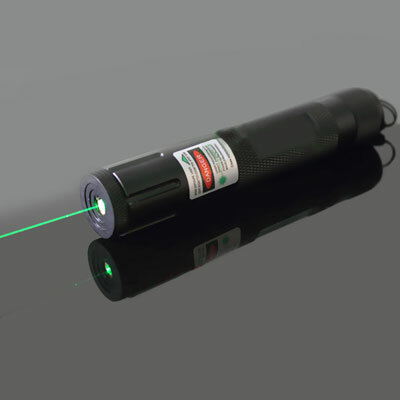 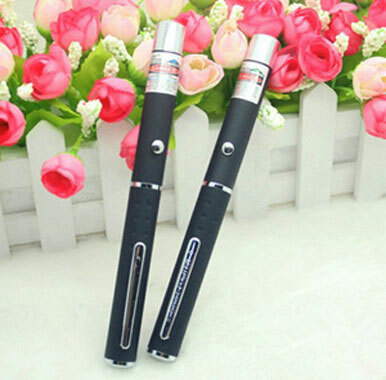 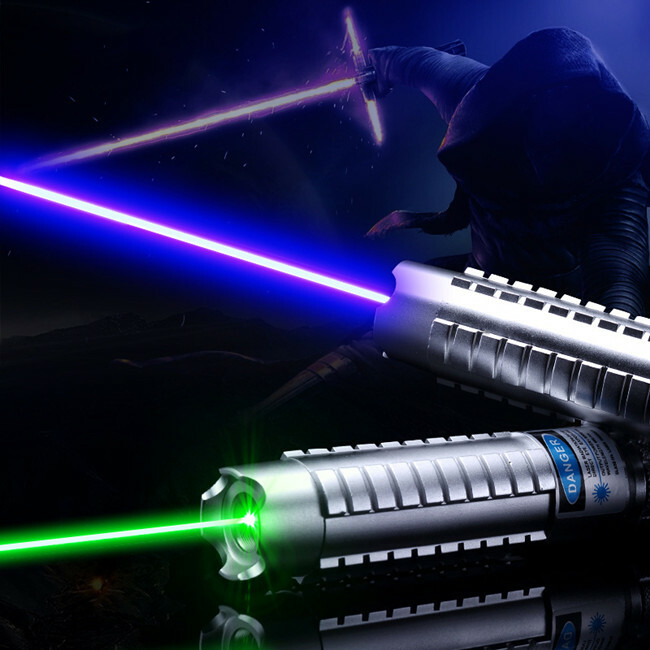 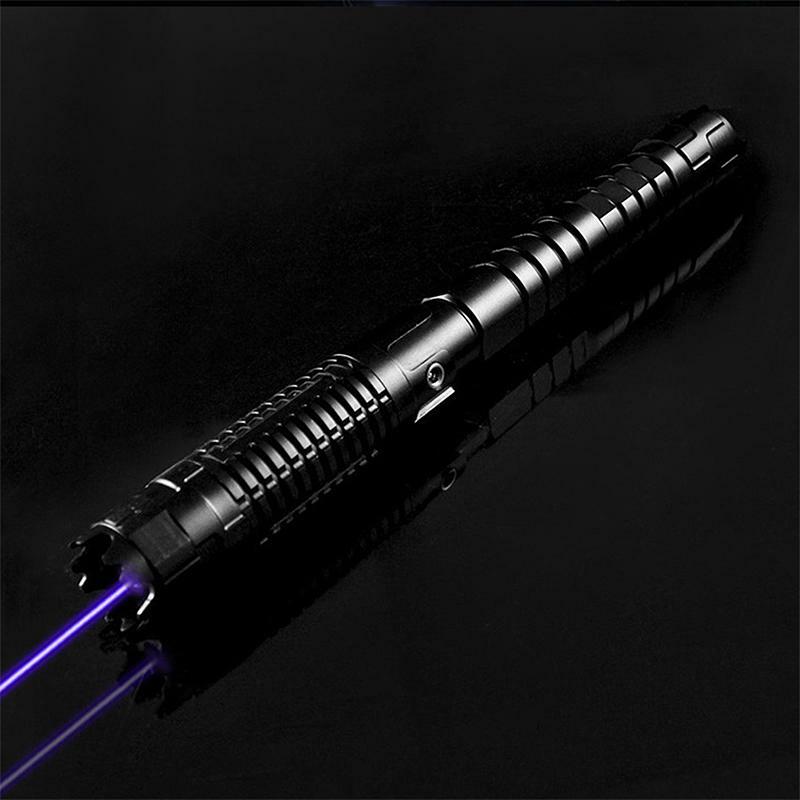 The small width of the beam and low power of typical laser pointers make the beam itself invisible in a reasonably clean atmosphere, showing a point of light when striking an opaque surface. 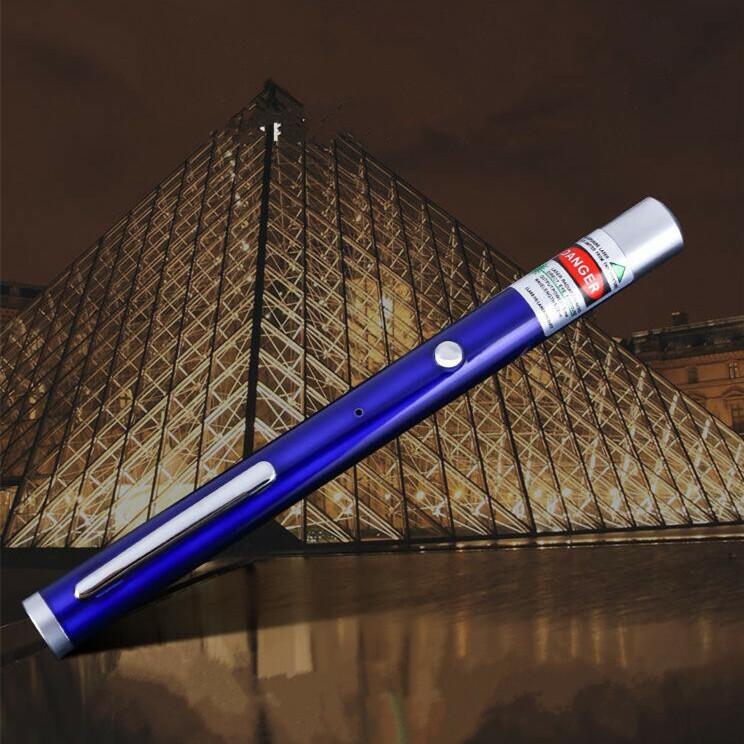 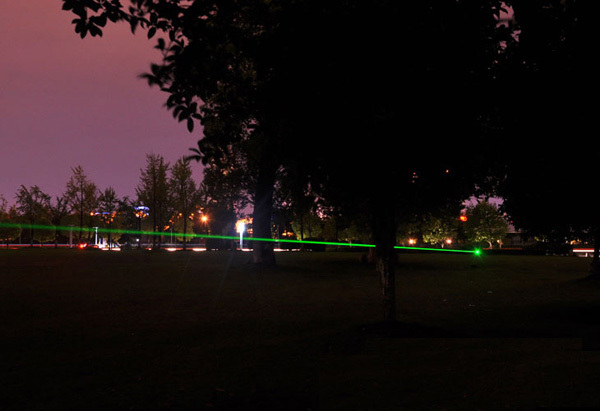 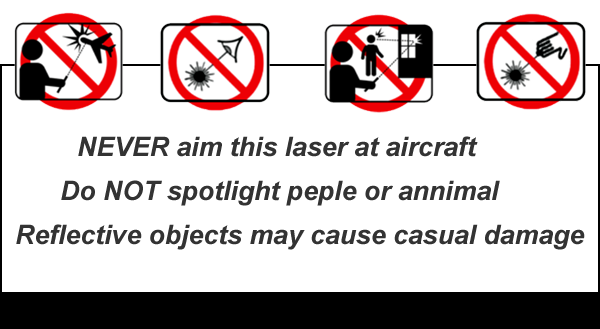 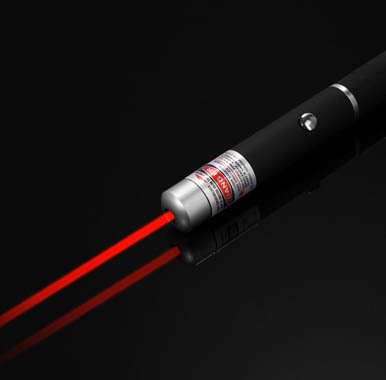 Some high powered laser pointers are faintly visible via Rayleigh scattering when viewed from the side in moderately to dimly lit conditions.